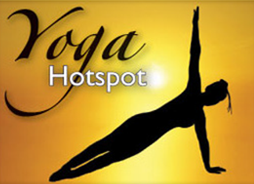 Start taking classes at Yoga Hotspot and other studios! One of the Three Best Rated yoga studios is Sydney, Yoga Hotspot is a hugely popular, family owned and run yoga studio in the heart of Chatswood, on Sydney’s lower North Shore. Their friendly and supportive studio welcomes people of all ages and abilities. Classes range from unheated YIN, through heated Beginner, Vinyasa Flow and Power Yoga. Big studio space and all facilities available. Very popular with ClassPass users. 38 classes per week and always open - even on public holidays (except Christmas and NY). Please bring a mat and towel - although these can be rented. Towels $3. Mats $2. Easy access to Chatswood bus/train interchange. 5 minute walk. Their is also plenty of parking nearby, including Albert Avenue and side streets as well as in the shopping centres (Chatswood Chase and Westfield)! The studio is right by the Chatswood Police Station. David mixes up the routine a little to keep the class interested and refreshing! Magical music in this evening’s class. Amazing. Peaceful. Good sweat. Fabulous instructor. Great workout! I will be back! Strong class and I loved it! Best yin class I’ve done! Returning to yoga, this is just what I needed. Thank you!